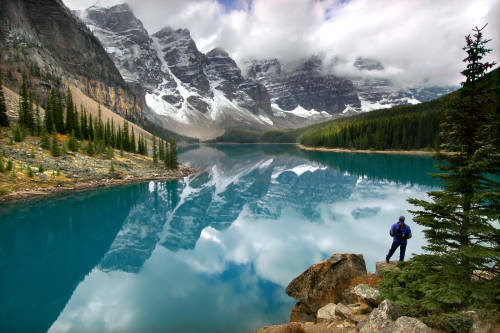 Made popular in its early days by visiting wealthy Europeans, Banff National Park continues to please visitors from the world over with its stunning rocky mountain views and beautiful lakes. Lake Louise is the most recognizable because of its popular lodge: The Chateau Lake Louise. Located in the scenic Valley of the Ten Peaks, this stunning view is so revered that the Canadian government featured it on its twenty dollar bill. Take a drive from Lake Louise up to Jasper, Alberta along the Icefields Parkway and see abundant glaciers, lakes, and the Saskatchewan River, or hit the slopes on the Lake Louise Mountain Resort. Backpack through the backcountry and see elk, grizzly and black bears, wolves, bighorn sheep, and deer. Trails are abundant, but conditions vary widely so call the rangers station ahead of time for a trail condition report. Play a round of golf at the Fairmont Banff Springs Hotel, and then go for a soak in the Upper Hot Springs. Few hotels in the world can rival the majesty, hospitality, and scenery of the historic Banff Springs. Its blend of opulence and seclusion has been a symbol of Rocky Mountain magnificence for more than a century. Only a two hours drive west from Calgary, The Fairmont Chateau Lake Louise is enveloped by some of the most breathtaking scenery in the world a world class Banff lodging choice. Moose Hotel and Suites is a brand new, 4-star hotel located in the heart of downtown Banff. This cozy yet elegant hotel will surely provide a decadent, relaxing stay with its endless amenities, warm, rich decor and ideal location for all your Banff National Park adventures. The Banff Caribou Lodge is the perfect place to experience the best of Banff National Park. 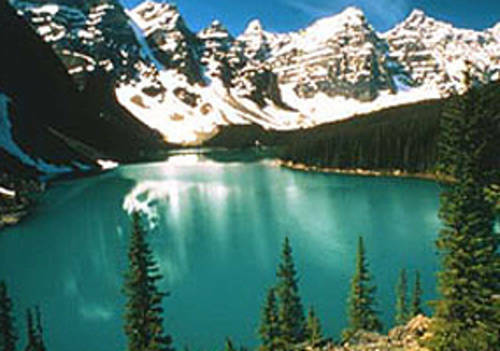 Centrally located in the town of Banff, it is surrounded by mountains, hiking trails, and local activities.